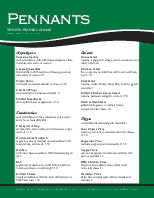 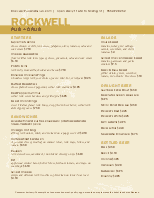 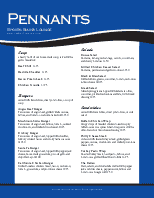 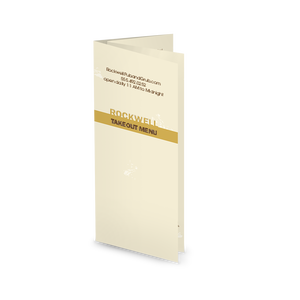 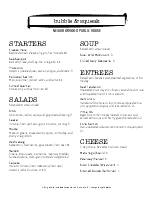 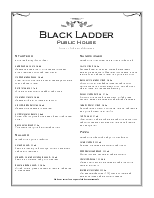 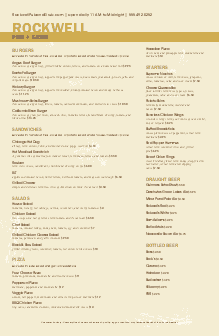 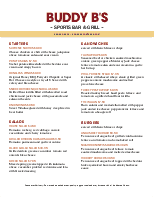 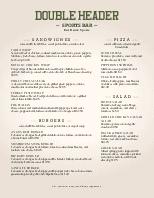 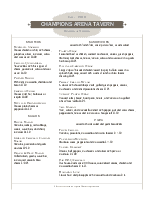 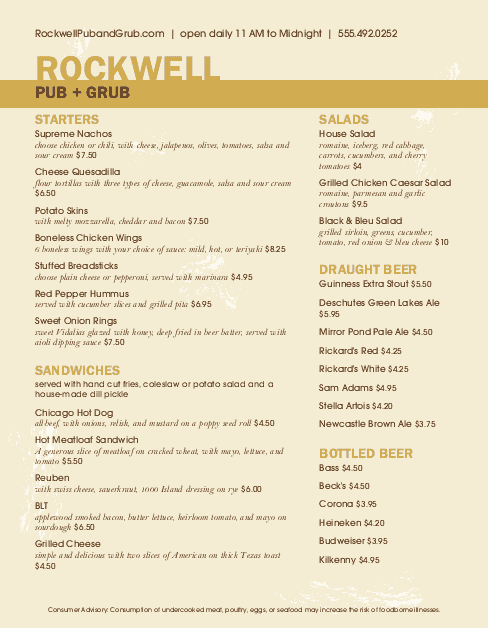 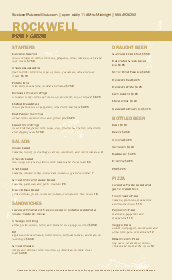 A letter-sized version of the public house menu for a casual pub or sports bar. 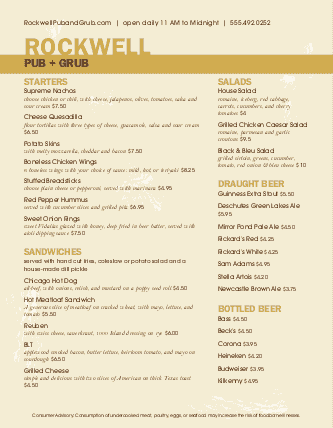 This casual design features a textured tan background, the brew pub name in brown, and two columns for pub food and beer listings. 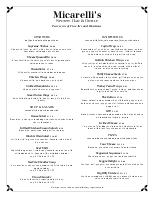 Create your next pub food menu online using the Menu Editor.